Adam Cassidy (Liam Hemsworth) is a regular guy trying to get ahead in his entry-level job at Wyatt Corporation. 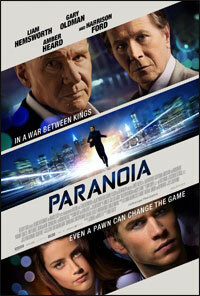 But after one costly mistake, Adam's ruthless CEO, Nicholas Wyatt (Gary Oldman), forces him to spy on corporate rival, Jock Goddard (Harrison Ford), Wyatt's old mentor. Adam soon finds himself occupying the corner office and living the life of his dreams. However, behind the scenes, he is simply a pawn in Wyatt's corporate game and realizes he must ultimately find a way out from under his boss who will stop at nothing, even murder, to win a multi-billion dollar advantage. otsoNY Comments: Although this film is set in new York City, the majority of the scenes were shot in Philadelphia, and it is only the World Trade Center 7 which is mentioned in the closing credits. 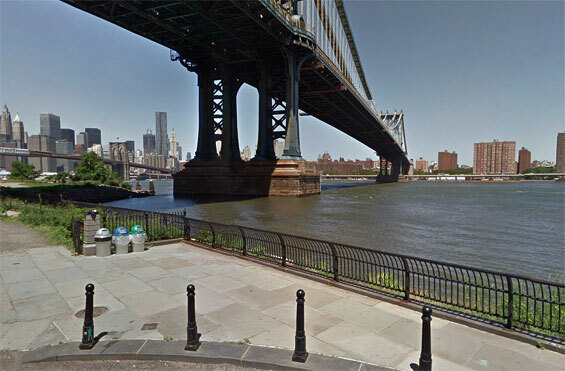 This opening scene sees actor Liam Hemsworth running under the Manhattan Bridge on the Brooklyn side, but after much deliberation, it looks like someone else doing the running and as Liam pauses for a moment, his actual image looks superimposed against the backdrop of the bridge. Adams Street and John Street, Brooklyn. otsoNY Comments: In this scene, the camera focuses on the financial district of Lower Manhattan, i.e. 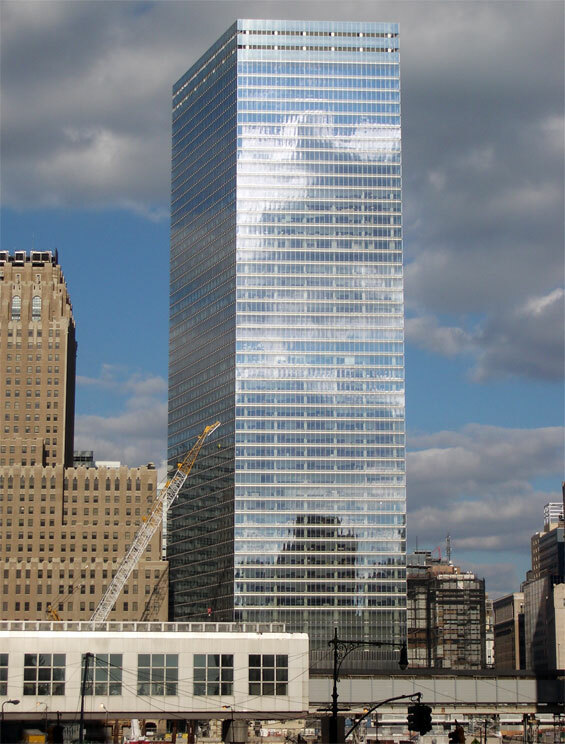 the World Trade Center but in the scene that follows, Liam Hemsworth's character is seen entering a building and into an office, which is opposite the Empire State Building, much like the view from the Rockefeller Center looking south. Again, it looks like a backdrop of New York was used. otsoNY Comments: One actual location that was used and is given reference to in the closing credits is the World Trade Center 7. If you look closely, you can see in the final image the construction still going on at Ground Zero. 7 World Trade Center, 250 Greenwich Street and Barclay Street, Manhattan.